The U.S. Department of Energy announced approximately $31 million in funding to advance the H2@ Scale concept through R&D in the areas of hydrogen storage and infrastructure, hydrogen production and utilization, and the development of new integrated production, storage, and fueling systems. 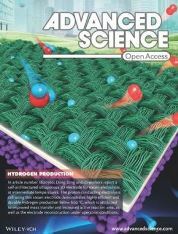 The U.S. Department of Energy (DOE) has established five new “supernodes” within the HydroGEN consortium through which multiple lab capability nodes and experts will work synergistically to address a specific water splitting materials problem or research need. The HydroGEN consortium has entered into new collaborations with four National Science Foundation (NSF) projects linking academic research in energy materials with the Department of Energy EERE Energy Materials Network, leveraging the world class capability nodes of the national-labs. On Thursday, February 7, from noon to 1 p.m. Eastern Time, DOE's Fuel Cell Technologies Office will present a live webinar about the HydroGEN Advanced Water Splitting Materials consortium. Researchers from the National Renewable Energy Laboratory will discuss the consortium's extensive materials research capabilities to address R&D challenges in efficiency, durability, and cost. HydroGEN experts Dong Ding and Ting He from Idaho National Laboratory (INL), with other INL researchers and collaborators from Georgia Institute of Technology and the University of South Carolina, have demonstrated efficient hydrogen production via steam electrolysis below 600°C using proton-conducting electrolytes. Sandia National Laboratories is hosting a technical seminar titled “Perovksite Materials Design for Solar-Thermochemical Processes by Combining Experimental and Theoretical Thermodynamic Data,” via webinar on Monday, November 5, at 10 a.m. Pacific Standard Time. The HydroGEN Benchmarking Project team is planning the first in an annual series of advanced water splitting (AWS) workshops. The 2018 workshop, "Advanced Water-Splitting Technology Pathways Benchmarking & Protocols Workshop" will be held October 24–25, 2018, at Arizona State University (ASU) in Tempe, Arizona. HydroGEN members have organized two joint symposia during the 2019 Materials Research Society (MRS) Spring Meeting and Exhibit April 22–26, 2019, in Phoenix, Arizona, where researchers from diverse disciplines will gather to share research findings and discuss issues and developments in advanced water splitting materials (AWSM) science and related sciences. During the 2018 Annual Merit Review and Peer Evaluation Meeting, the U.S. Department of Energy (DOE) Hydrogen and Fuel Cells Program recognized two members of the HydroGEN Steering Committee, Huyen Dinh of the National Renewable Energy Laboratory (NREL) and Richard Boardman of Idaho National Laboratory (INL). On May 24 the U.S. Department of Energy (DOE) announced up to $3.5 million for early-stage hydrogen production research and development that is compatible with nuclear energy sources.